fantasía Can a multi-genre series work??? Hi all, I've created a 4-book, YA series called LEGENDARY MASTERS about three fighters on their way to a legendary fighting competition. First book is a fictional adventure about a kung-fu dwarf. 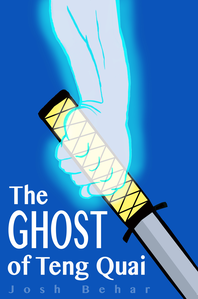 Second book is about a ghost. Third book is a bout a magical girl. All three fighters then make their way to an afterlife realm where they compete in a competition poised to help save the human world. 1. Can a multi-genre series work? 2. Do you like the cover art for both?